Appreciate Rio from the sea on a Schooner ride, and see historical buildings and the forts that protected the Guanabara Bay. After the pick up at your hotel, you get to Marina da Gloria, where the boat leaves at 9:30m or so. From the Bay, you will have the oportunity to see the Museum of Tomorrow (Museu do Amanhã), built by the famous Spanish architect Santiago Calatrava. As you go on, and cross under the Rio – Niteroi bridge, you can see the neighborhood of Santa Teresa, the Santos Dumont airport, and the three forts that were built to protect the city, the São João Fort, Lajes Fort and Santa Cruz Fort. You will come across the city of Niteroi, on the other side of the bridge side, from here you will have one of the best views of Rio de Janeiro. 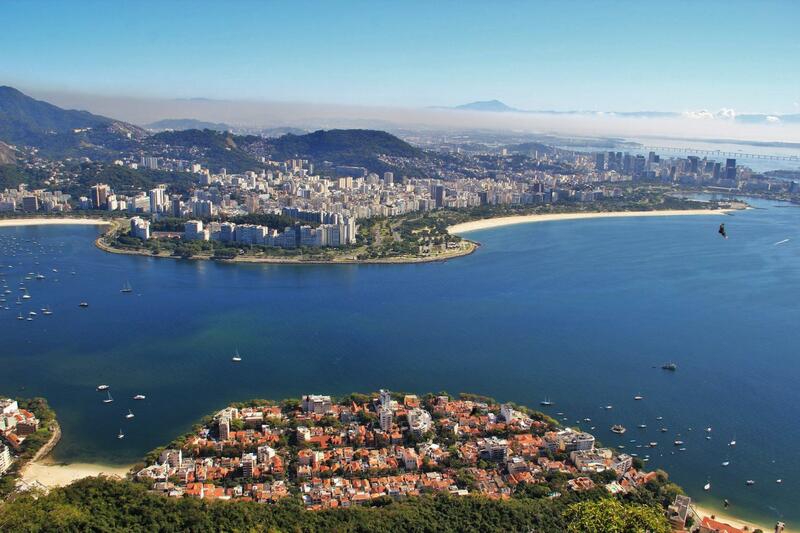 Take your time to take mental snapshots of beautiful Rio and actual Snapshots to show it to friends and family. During our tour on the Schooner, if you are looking to let off some steam, just help yourself with the bar inside the boat, where you can buy caipirinhas and others alcoholic drinks or sodas and water. But we offer season tropical fruits, such as watermelon and pineapples for free! After heading back, you will drive back through Aterro do Flamengo from where you can see the beautiful Sugar Loaf in all its glory, before arriving at a traditional Barbecue Lunch, All you can eat style (If option selected. If not, you will be dropped off at your hotel). Brazilian Churrascarias (Barbecue places) offer a wide variety of sides and alternative options, in case you decide to stick with a vegetarian option, you will still leave delighted. After this delicious lunch, you will be dropped off at your hotel.